If one looks for information about catch and release in Switzerland, Google answers the question with a strict “forbidden”, provided you search in English. See for example the Washington Times, Outdoor Life or even in Wikipedia. However, this is actually not the case. In 2014, the federal office of environment (BAFU) issued a paper on releasing fish called: Vollzugshilfe Angelfischerei, which clarifies the state being. I believe this publication is of considerable relevance for many English-speaking fishing tourists but it only exists in German, French and Italian. Therefore, I will translate the main points for you. According to the second part of the Vollzugshilfe Angelfischerei by the BAFU it is not allowed to go fishing with the intention to release every fish. The reason for this is that the law for animal welfare forbids any action which harms animals without a convincingly reasoning. [Art. 4 Abs. 2 TSchG] However, fishing for food is justifiable. Therefore, pure No-kill or catch and release waters do not exist in Switzerland. This does not mean that every fish must be killed and eaten, because this practice would be counter-productive to a sustainable fishery. Moreover, this practice of kill-everything would enhance the pressure on the Swiss fisheries, which are already in an unprecedented decline, as the Project Fishnet points out (Burkhardt‐Holm et al., 2002). For more on this project see also the summary in this PDF here. Moreover, the paper states that if an angler releases a fish, it has to happen immediately. Manipulations such as measuring and photographing have to be reduced to the indispensable minimum. Fish which are presumably not able to survive (bleeding). Yet, if they do not comply to the regulations (too small, protected etc.) you have to put them back. If cantonal regulations depict waters where a natural reproduction is impossible, you are not allowed to put fish back. 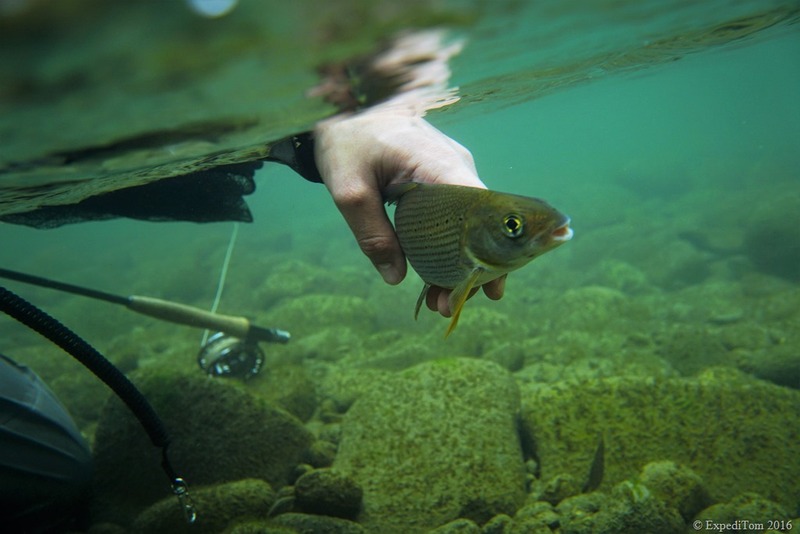 In a nutshell, anglers can catch and release fish in Switzerland under certain circumstance as shown above. 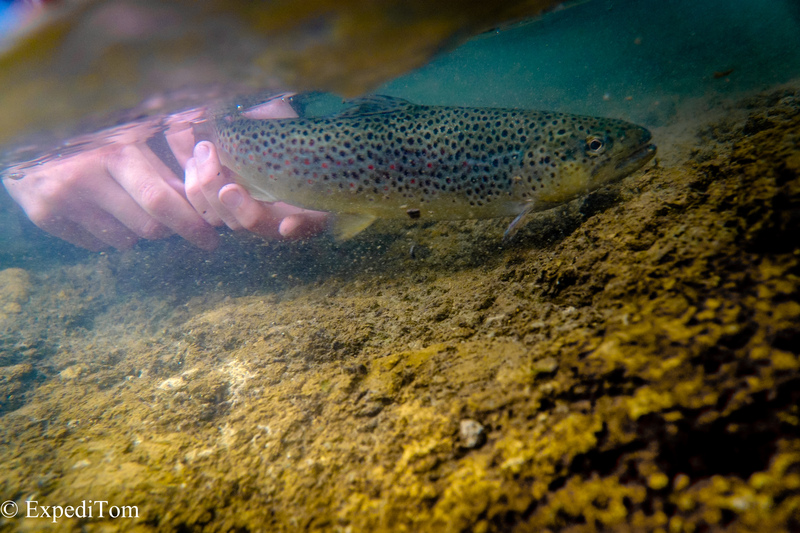 Given that many species are endangered, such as the brown trout, it is advisable to make use of this freedom to enhance the fish population in Switzerland. Catch and Release for the gen pool. Is Catch and Release practised in Switzerland? As pointed out in the post about trout diversity, the trout population in particular is declining and this is undeniable at least partly due to the high fishing pressure. If we had to kill every fish we catch in Switzerland, the population would probably have been gone within a few years. Yet, the paper about releasing fish by BAFU aptly points out that this is not the case. 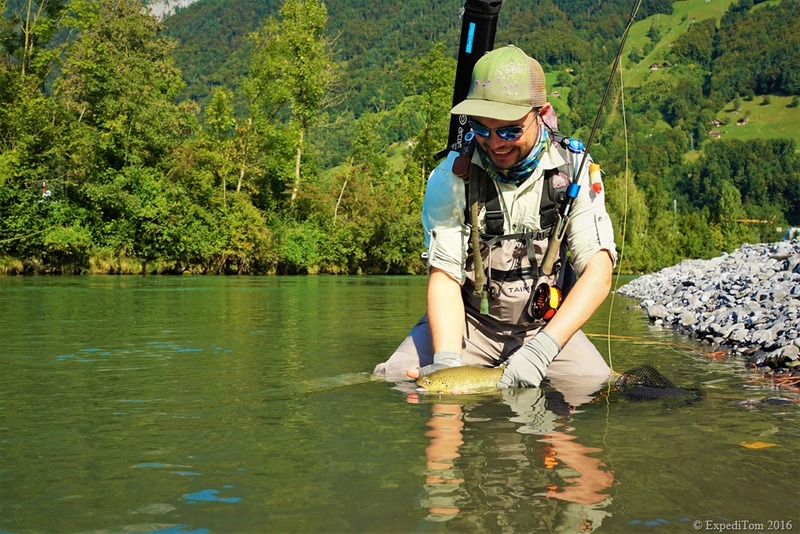 Catch and release is allowed in Switzerland provided that the angler acts with environmental awareness, handles the fish with care and does not release any non-native fish. Thus, the decision to release a fish lies in the hands of us fisherman, as long as we do not go fishing with the intention to release every fish. I desperately hope that the anglers in Switzerland seize this opportunity and make the careful step towards a sustainable fishery. Burkhardt‐Holm, P., Peter, A. & Segner, H. (2002). Decline of fish catch in Switzerland: Project fishnet: A balance between analysis and synthesis. Aquatic Sciences 64, 36–54. BAFU (2014). Vollzugshilfe Angelfischerei. In: <https://www.bafu.admin.ch/bafu/de/home/themen/biodiversitaet/publikationen-studien/publikationen/vollzugshilfe-angelfischerei.html>, last time consulted: 09 May 2017. Disclaimer: I wrote this post to the best of my knowledge and added citations where needed. Nevertheless, I cannot guarantee for its correctness especially over time. Please always check with the present regulations supplied with your license.